Nov 7, 2018 Update: UB Mega Menu ver 1.1.4 released -- making it easy to add thumbnail to each sub-menu item. 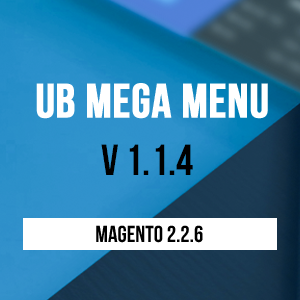 Sept 24, 2018 Update: New enhancement in UB Mega Menu ver 1.1.2 -- added dynamic width (%) option that allows to create full width menus. 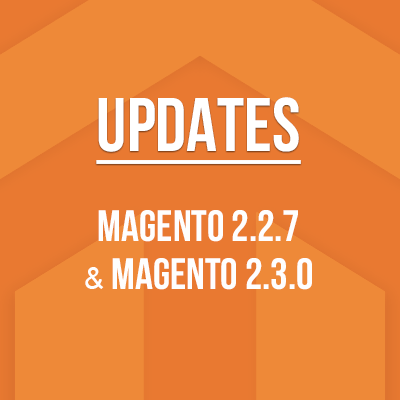 Fully compatible with Magento 2.2.6. Aug 31, 2018 Update: UB Mega Menu ver 1.1.1 has just been released which allows to customize the mega menu title for SEO value. 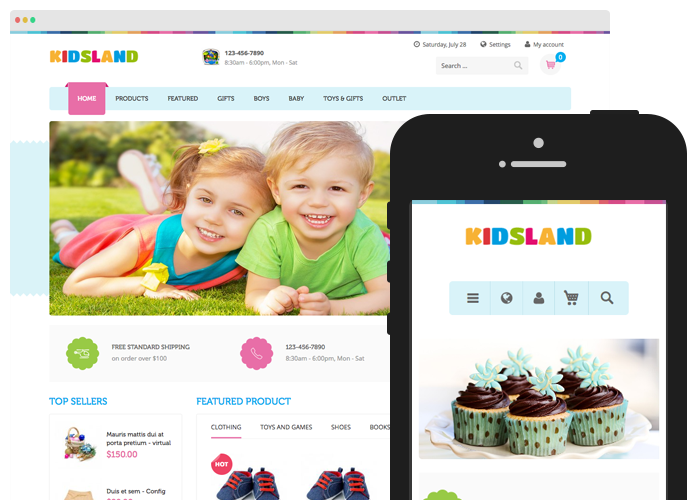 If your Magento 2 store contains a wide range of products with many promotional deals to deliver, it gets a perfect chance to add a mega menu as it helps to organize and structure the store navigation in an intuitive and efficient way. 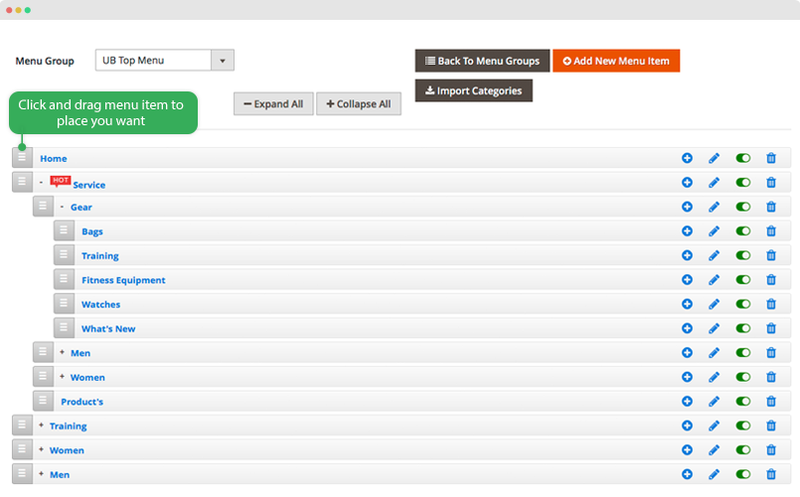 And this is where our UB Mega Menu -- Magento 2 mega menu extension -- comes in handy. Let’s dive in to see how the extension can give you an ideal solution for building your effective navigation system. UB Mega Menu offers both horizontal and vertical menus. 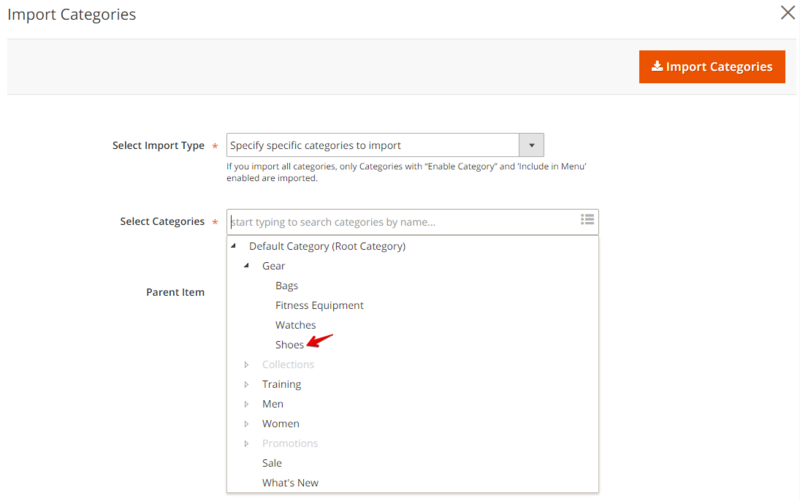 It enables a large number of items -- products, categories, promotional content like banners, videos etc., -- to appear within the menu dropdown. 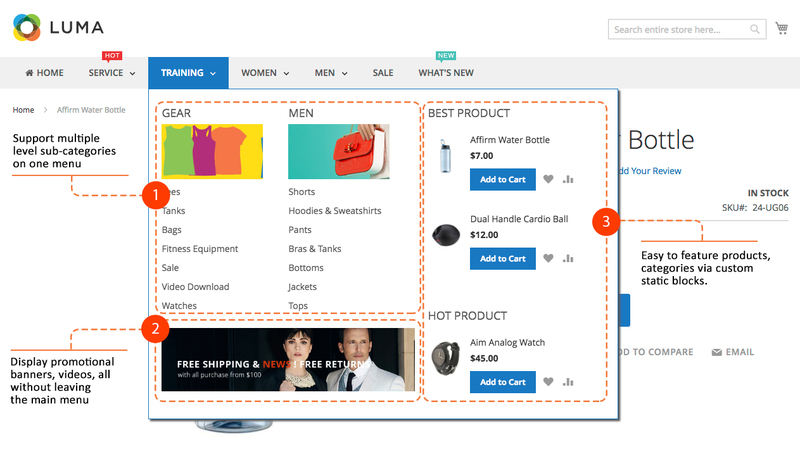 Visitors can surface all levels of navigation of your store at one glance. Thus it definitely encourages them to navigate through your pages, and as a result, the more chances you have for a conversion. We are all familiar with horizontal drop down menu, how about vertical display? With UB Mega Menu, all the functions remain the same, you can still have multiple columns for product categories, featured product block and even banner. Besides, you can also add and display menu icons. You could choose to devote a whole block of your page’s prime navigation space for a particular type of products, categories of high-selling products or visual branding elements that you wish to feature. Doing so could do much to boost your product sales. Increasing the visibility of featured products or promotional elements for a higher conversion rate. Basically, UB Mega menu displays featured products and categories with icons and graphics in one large multi-column panel. You can also place promotions, branding images (through CMS blocks) within the menu and even lead visitors to specific pages with custom links. With different types of menu -- Custom Link, CMS Page and Categories -- that UB Mega Menu supports, you have limitless combination possibilities to boost up the promotion campaigns or to deliver your own messages more effectively. So since the whole point of your mega menu is to allows access to most of your sites’ pages and motivates visitors to go through your store, it would be strategic that you determine which categories, products should appear prominently in the main navigation- and thus influence visitors to purchase your products. Thanks to a wide range of configuration controls, configuring your Magento 2 mega menu is simple with UB Mega Menu, no coding is required. The extension gives you full control over every aspect of your mega menu items, giving you the ability to create multiple-columns layout, drag and drop to sort the order of menu items, upload custom icons, or import your category tree recursively etc., with just a few clicks. It does allow you to flexibly manage these mega menu items via Widget management module (Content/Widgets), CMS Blocks or XML. Custom CSS is supported too, and you can easily apply custom styles to individual parts of your mega menu. For full details about the backend configuration options, please refer to this post and this post. UB Mega Menu is responsive at core, every single element is designed to show off your product categories in a better organized way across full range of devices from desktop, tablet to mobile. Thanks to off-canvas menu for mobile browsing, it assures your customers to be able to find what they are looking for a whole lot easier. 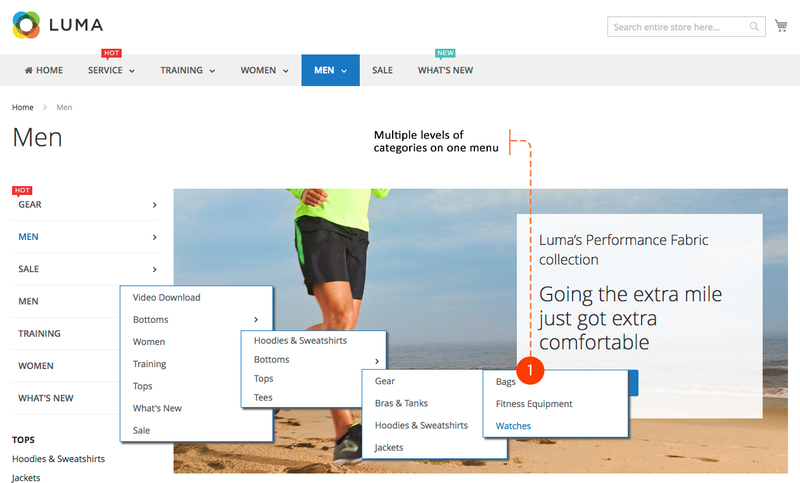 Let’s take a look at a few of our Magento 2 themes powered by the UB Mega Menu extension. Hopefully, these samples give you an idea of the quality of main navigation you can achieve with UB Mega Menu when you build out your own custom mega menu. You can use predefined layouts of UB Mega Menu as a quick and easy starting point, however it gives you the freedom to create and organize your main navigation system in any number of ways. 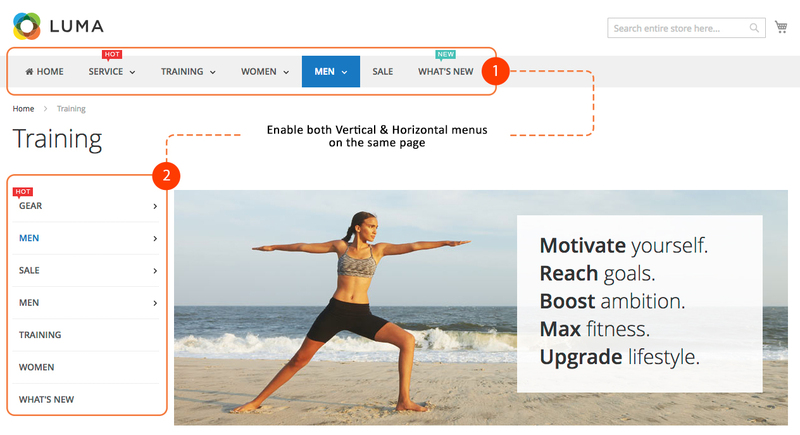 When combined with advanced configurations and custom CSS, your Magento 2 mega menu becomes its own unique main navigation for your store. If you have any questions or suggestions about our UB Mega Menu, make sure you leave a comment in the comment section below!